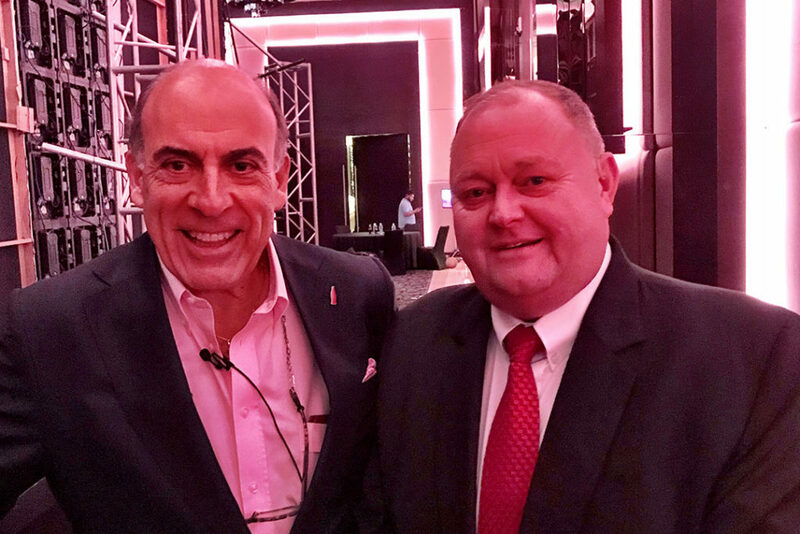 Muhtar Kent, the Chairman of the Coca-Cola Company, is not only a very well-respected businessman but seemingly a great guy to boot. Having begun his rise through the organization from humble beginnings selling from its delivery trucks in the 1970’s through to heading up the company worldwide today, he seems to have never lost touch with the common man either. Spending time with him recently backstage at the Winsight Global Restaurant Leadership Conference in Dubai was an absolute joy. Living his values on his sleeve, Kent had flown into Dubai to address this prestigious conference audience with advice that resonated well: always focus on their markets, work smarter, think like an owner and be the brand they represented. It was an honour and pleasure to meet the man briefly.